this narrator is the only one for this job! I love this book, read it time past long ago. Listening brings it all back again. The narrator is quite good, I enjoy his changing inflections. Great book, great narration! It's been so long sense iv had a book that I can't wait to read or listen to but this one has me. The narrator suits the gunslinger and the voices he does makes it seem like I'm listening to more then one reader. I'm loving this ! I love Stephen King and I adore his character development, but I wasn't thrilled about the ending of the book. 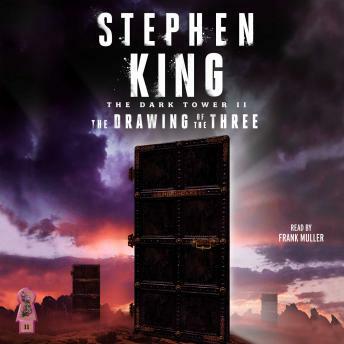 However, I may edit my review after reading (listening to) the rest of the dark tower series. I think Frank Muller is an excellent narrator, but I gave 4 stars as the original narrator of The Gunslinger I felt was more suited to the characters of the book. I'm looking forward to the rest of the series!